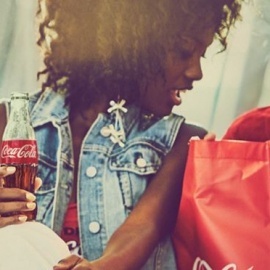 Take a break from exploring the Las Vegas Strip and stop by Coca-Cola Store Las Vegas for a refreshing visit! Once inside, become immersed in all things Coca-Cola. 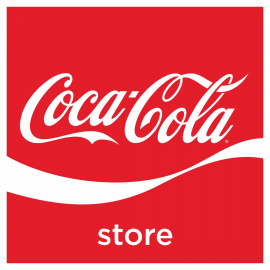 From must-have Coca-Cola home décor to your very own Coca-Cola Polar Bear plush, Coca-Cola Store Las Vegas has the perfect souvenirs or gifts for you or the Coca-Cola fan in your life. You can also browse through the unique 5by20™ collection. A visit to Coca-Cola Store Las Vegas also means having the chance to meet and have your photo taken with the Coca-Cola Polar Bear. From high-fives, kisses and friendly hugs, add this bucket list item to your must-see list during your stay in Las Vegas. On the second floor of the store, get refreshed at the Coca-Cola beverage bar with 16 different international beverages with the Taste of the World beverage tray, enjoy a delicious Coca-Cola Float and take home a one-of-a-kind souvenir cup. All this and more make Coca-Cola Store Las Vegas the ultimate destination for a truly unique Coca-Cola experience.